With my “Have Less – Do More” philosophy firmly in mind, this year instead of asking for *stuff* I planned to fill my birth month with experiences. The first event on my birthday calendar was to be an Aerial Yoga Workshop at Raw Yoga in Milford. 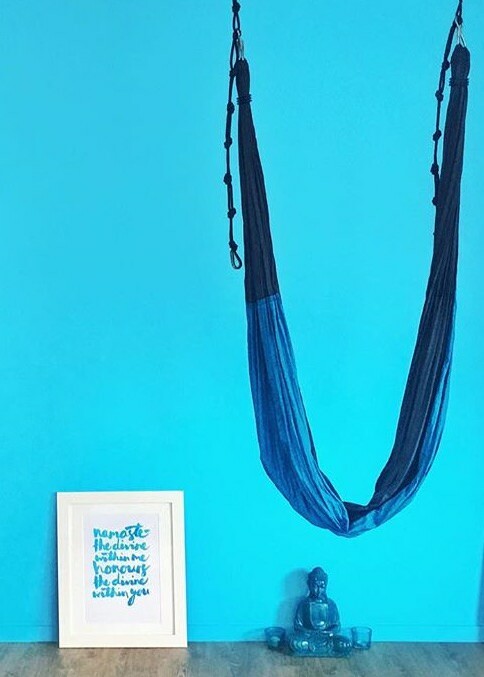 If you’ve followed my blog (or instagram account) for a reasonable amount of time, you’ll know that this is not the first time I’ve attempted Aerial Yoga, I did a couple of classes at East West Yoga in Ponsonby a few years ago, but this would be the first time I’ve attended an Aerial Yoga Workshop. Workshops are awesome as they tend to be able to delve deeper into poses as you have more time and for someone like me, who generally just likes to play around and learn new (and invariably instagram worthy) tricks a workshop is a super fun way to spend an afternoon especially when the weather outside is super shite and you can’t do much else anyway. Speaking of the weather, although the workshop was fully booked we initially only had 6 attendees – 7 people stayed away because of some rain?!?! Who does that?!?! Although I guess it was rather fortuitous for the four girls who just turned up – out of the blue (slightly late) – they looked like they had a great time (and if you look really closely at the first video you might just spot me getting my ninja on). John then took over and led us through flips that seemed to be more upper body dominant, in that you held onto the hammock while flipping, as opposed to the hammock being wrapped around your legs while you flipped which we the rest of class had done with Nicole. I actually preferred to flip while holding onto the hammock as I’m used to taking my weight through my hands because I handstand so often. John also led us through some static (as you can get in a swinging rig) holds – which is where my complete lack of any strength training lately severely showed, Ninja Kicks (my fave) and the most blissful Shavasana ever.